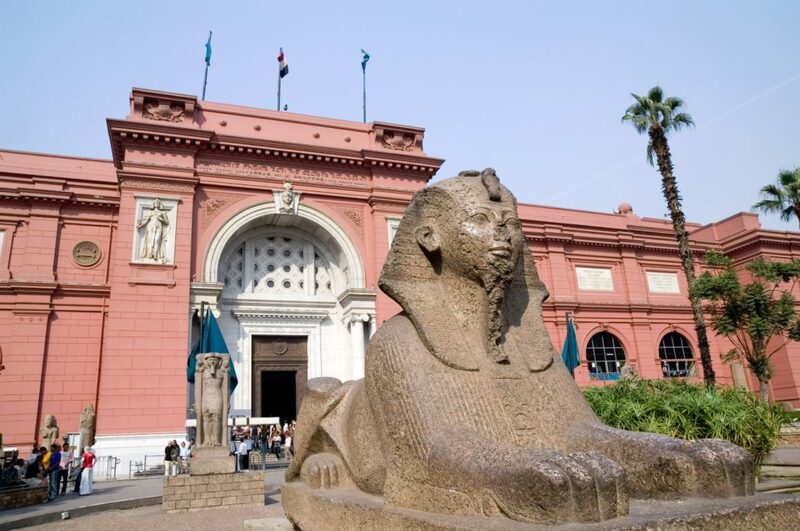 The Egyptian Museum is considered to be one of the oldest, most famous, and largest museums in the world. It was first built in 1835 near Al-Azbakya Garden, and later in 1902, it was moved to Al-Tahrir. It has been home to more than 120,000 ancient Egyptian artifacts, as well as the most extensive collection of ancient Egyptian antiquities in the world and it houses an unbelievable exhibit of ancient Egypt’s glorious reigns. Not to mention the mummies, poetry, and jewelry and many other ancient kingdoms’ treasures that you can’t miss. However, for years the museum has been criticized for its bad lighting, outdated display features, and the lack of proper labeling. It has been compared a lot to a storage unit more than a proper sophisticated international museum! On Saturday, 12th of January, the Egyptian Minister of Antiquities, Khaled El-Anany, announced that the ministry received an international grant worth three million euros to develop the Egyptian Museum in Cairo. El-Anany also added that this development plan will be implemented via a collaboration between the Egyptian Ministry of Antiquities and different directors from five other European museums. Those include Turin’s Egyptian Museum in Italy, The Louvre Museum in Paris, The British Museum in London, and the Egyptian Museum in Berlin. Currently, the Egyptian Museum is running a temporary exhibition entitled “Rediscovering the Dead”; it is scheduled to be running till the end of January. This exhibition is the first of its kind; it will be the first time to showcase 15 different skulls that are approximately 6,000 years old. Those in addition to a 21,000-year-old skeleton that was discovered in Aswan; which is the second oldest skeleton in the world, and a mummy of a child form the Roman era; that was discovered in upper Egypt, will also be displayed. The Director of the Museum, Sabah Abdel-Razik, described the exhibition to be educational as it focuses on the importance of the organic archeology and culture in ancient Egyptian history. Al-Anany also stressed on the Egyptian presidential mandate on opening the Grand Egyptian Museum. It’ll be 117 acres and it’ll become the largest archeology museum connecting it to the Giza plateau to facilitate the movement for tourists when visiting both sites. The opening of the Grand Museum has been repeatedly delayed due to lack of funding. In 2016, Egypt and the Japanese Agency for Development Cooperation agreed to provide USD 460 million as a fund to complete its construction. The minister also stated that about 8,000 workers were working around the clock to finish its implementation by 2020. WE SAID THIS: Egypt’s history will never be forgotten, only immortalized!